Have been in Purfleet for a couple of days at the National Skills Academy’s new Backstage Centre : a massive purpose built production house for bands to use before they tour…. absolutely astounding in terms of scale. Had a tour round the Royal Opera House Production facility, too: also, amazing. Mid way through mixing the Refuge album.. single’s gone to be pressed (vinyl). Another week or two, then done. I need a heater in the studio ! 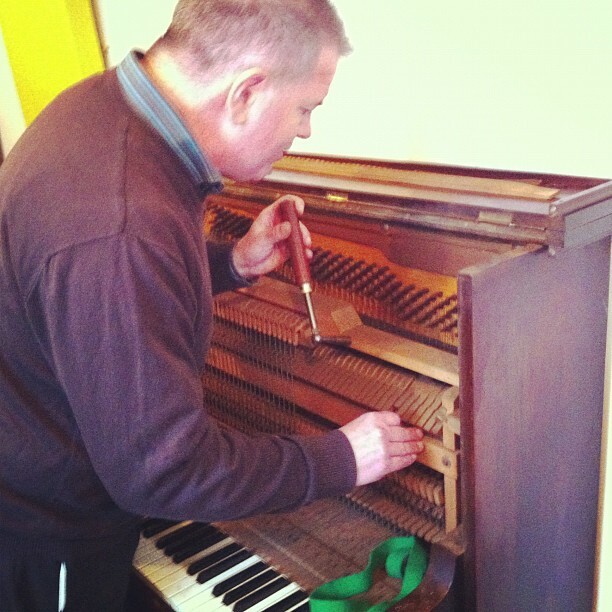 Oh, yes, and lovely Clive tuned the piano…. he’ll need to come back in a couple of months to raise it a little more, but it sounds lovely.